South Birmingham Primary Care Trust (NHS) wanted a method for delivering messages to the patients at 65 surgeries across South Birmingham from their Head Office in Kings Norton. ONELAN Digital Signage was chosen to achieve this. 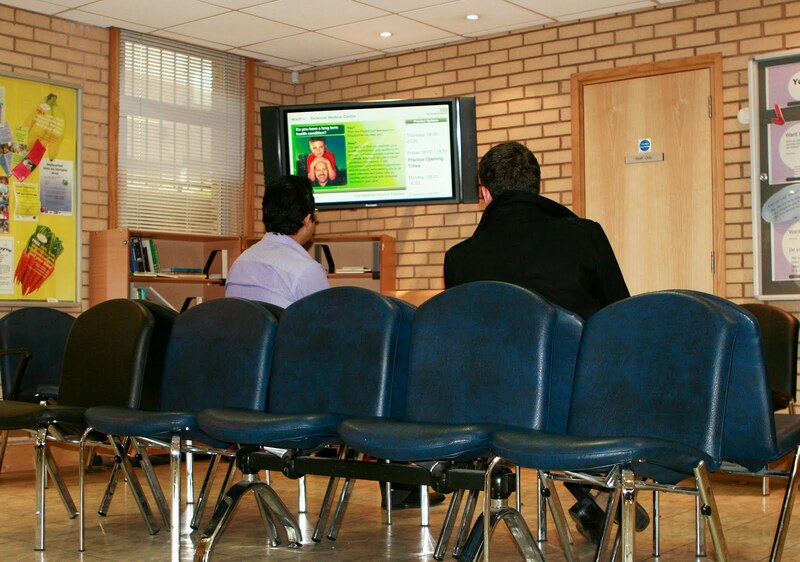 To Entertain - Reduce perceived waiting time to achieve happier patients by showing live TV. ONELAN Century NTB 615s have been installed in all 65 of the doctors’ surgeries, and three ONELAN Millenium NTB 5000s have been installed in the Head Office. It can be made relevant to the day’s surgery and easily changeable at the location by the receptionists. Ad Hoc messages are also set up so the receptionist can quickly inform the patients if the surgery is on time or not. This service gives the patients a relaxed signage system with pertinent information. There is also an override facility. If there is an incident e.g. : the recent swine flu outbreak, then HQ can override scheduled content to show the emergency content. Overcoming security issues - With the obvious issues of patient confidentiality, security was of paramount importance. With the excellent security features of ONELAN’s NTBs any concerns were soon overcome. ONELAN is even approved for use in high security applications such as Government and Banking. Overcoming user reluctance - It was essential that the NTB software interface was simple enough for NHS staff to use so they could update the information being displayed on the Net-Top-Boxes with minimal training. 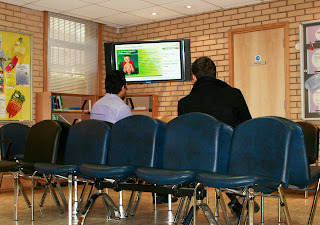 At the same time, the software had to be sophisticated enough for the signage requirements of the Trust Head Office. Surgery Network Conformity - As every surgery has its own non standardised network, while the Trust Head Office is able to publish information on all the NTBs in every surgery, it is unable to ‘see’ whether each NTB is working properly, and whether there are any faults. To overcome this constraint, ONEMedia Services act as a go between, as they monitor all the local NTBs, and forward this information via email back to the Trust Head Office.